FlightSafety offers comprehensive, professional training on all models of the Dassault Falcon 50EX. Our highly qualified and experienced instructors, advanced-technology flight simulators and integrated training systems help ensure proficiency and safety. We provide pilot training for the Falcon 50EX at our Learning Center in Teterboro, New Jersey, and maintenance training at our Learning Centers in Dallas, Texas; Paris-Le Bourget, France; and Wilmington, Delaware. FlightSafety International provides iPads at no cost to pilots enrolled in Falcon 50EX training in lieu of printed manuals. This keeps pilots connected and engaged in an interactive learning experience throughout their training. Training courseware and training devices for the Falcon 50EX were developed in conjunction with Dassault Falcon. eLearning CPDLC course is available for the Falcon 50EX. This FAA-approved course satisfies the training requirements of AC 120-70 (as amended) and meets the international standards set by the International Civil Aviation Organization (ICAO). General Emergency training and MedAire training offered onsite. 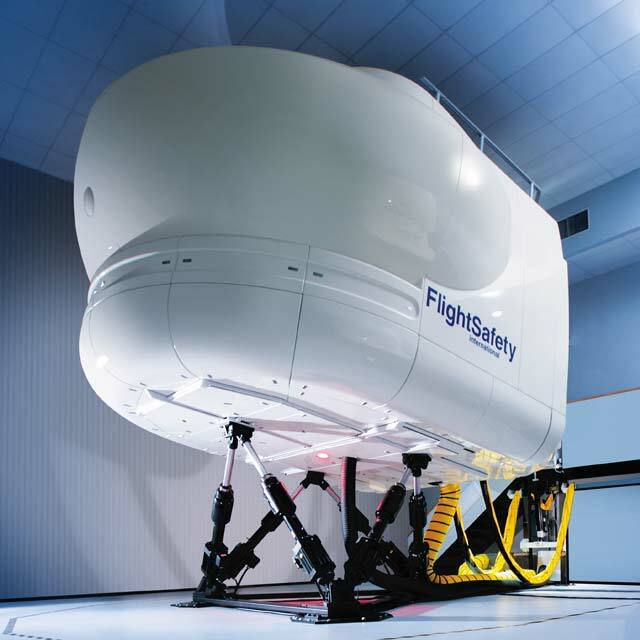 FlightSafety was the original provider of training on the 50EX and has been developing curriculum for training on this platform since entry into service.